Industry giants such as ABB, Alstom Transport, Battelle, CAE, EDF, and Hydro-Quebec and public organizations such as Departments of Transportations (DoTs), RATP, and SNCF alike trust Planisware to manage their engineering projects. 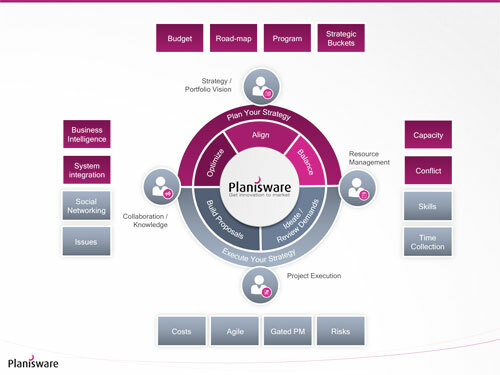 Some are using Planisware to manage hundreds of programs, thousands of users, and millions of activities. Track and optimize budgets and forecasts. Manage risk at strategic and operational levels. Detail your plans, structure projects into workpackages, and manage bids. Gain visibility and manage your resources. Consolidate contract and project management. Simplify customer, supplier, and project workflows in a single system. Evolve your processes. Flexibility and scalability helps you adapt and mature. We have very complex project review cycles at the end of the month, we have a lot of interactions into each one of these projects and we wanted to make sure that the tool would give us the capability of [being] all together at the same time working in the tool. Users are making updates much more frequently than they used to because of the transparency in the system. The program management module is sophisticated, and includes roadmaps, profit and loss statements (that are also available at the project level), a collaborative "wall" for the program, version management, extensive drill-down capabilities, documents, scorecards. Gartner, "Critical Capabilities for IT Project and Portfolio Management Applications"
Planisware has a highly configurable product, making it suitable for many different types of project-initiative applications, and financial modeling capabilities that come closest to meeting CPM financial management requirements.